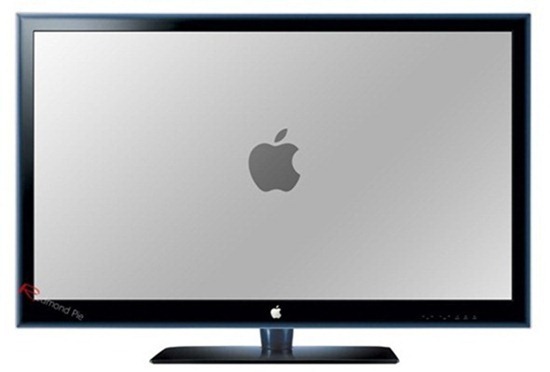 According to a report published earlier today, Apple is “expected” to begin production of their long and strongly-rumored HDTV displays in the middle of next year. Details after the jump! The news comes from the folks over at AppleInsider – a blog dedicated to covering Apple rumors – in the form of a report in which they cite an analyst from global security and investment banking group Jefferies who states in a note to investors that Apple is expected to partner with Sharp for TFT-LCD displays for its upcoming HDTV displays with production expected to begin in February, setting it all up for a mid-2012 launch. Jefferies analyst Peter Misek said in a note to investors this week that Apple is expected to partner with Sharp for TFT-LCD panels for its so-called "iTV." Production is expected to begin in February at the company’s Gen 10 Sakai facility in Osaka, Japan, placing the television set in position for a mid-2012 launch. This year, however, things are a little different. According to his authorized biography by Walter Isaacson, which was released about a month ago, Steve Jobs had “cracked” the television. This television, which would essentially be an HDTV display married with an Apple TV, would seamlessly integrate with iTunes, iCloud, iOS devices and Macs while offering the best possible user-experience. Steve Jobs revolutionized four industries in one lifetime: desktop computers, smartphones, tablets and, of course, the music industry with the Macintosh, iPhone, iPad and iPod (respectively). The company Jobs co-founded back in the 80s is, then, perhaps the only company that get into a super-saturated market like the television industry, revolutionize it and become the #1 manufacturer (just like they did with the iPod and are doing with iPad, iPhone). I personally look forward to Apple’s “reinvention” of the television. Do you?